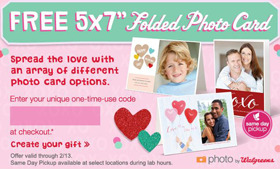 The first 10,000 people receive a FREE 5×7 Folded Card! You can ship to store for Free too! You will get a unique code that can’t be shared to enter at checkout.